35 relapsed/refractory AML and MDS patients received BGB324 as monotherapy; two CRi and five PR were observed, and seven patients stayed on treatment for more than four months. Three novel and proprietary predictive biomarker candidates were identified. Bergen, Norway, 11 Dec 2017 – BerGenBio ASA (OSE: BGBIO), a clinical-stage biopharmaceutical company focused on developing a pipeline of first-in-class AXL kinase inhibitors to treat multiple cancer indications, today announced that it presented an update on the BGBC003 clinical trial (NCT02488408) with selective AXL inhibitor BGB324 in patients with relapsed/refractory Acute Myeloid Leukaemia (AML) or Myeloid Dysplastic Syndrome (MDS). Clinical benefit was observed and three novel, proprietary predictive biomarker candidates were identified. Data showing the immune modulatory effect of BGB324 in this patient population was also reported. 35 patients with relapsed/refractory AML or MDS received BGB324 monotherapy on the BGBC003 trial. Two patients achieved complete responses with incomplete heamatologic recovery (CRi) and five achieved partial responses (PR). Seven patients reported disease stabilisation for more than four months. Four patients remain on study at the time of data cut-off. Three novel predictive biomarker candidates that correlated significantly with clinical benefit were detected in blood, bone marrow plasma or bone marrow cell samples from patients. Over the course of treatment with BGB324, patients demonstrated a diversification of their T- and B-cell receptor repertoire in peripheral blood and/or bone marrow indicating immune activation upon BGB324 therapy. Richard Godfrey, CEO of BerGenBio commented: “The BGBC003 trial in AML is one of six ongoing phase II trials evaluating our first-in-class selective AXL inhibitor BGB324. The observed clinical benefit with BGB324 monotherapy in AML and MDS is very encouraging. The second part of the trial, featuring expansion cohorts as a monotherapy as well as in combination with low dose chemotherapy is ongoing and we are looking forward to reporting an update in 2018. I am particularly encouraged with the biomarker data as this supports our clinical development strategy to enrich future clinical trials with patients most likely to benefit from therapy with BGB324’’. AML is the most common form of acute leukaemia in adults where malignant AML blasts interfere with the normal functioning of the bone marrow leading to a multitude of complications like anaemia, infections and bleeding. AML is diagnosed in over 20,000 patients in the US annually and is rapidly lethal if left untreated. Successful treatment typically requires intensive therapy or bone marrow transplantation, and relapse and resistance are common. Consequently, there is an urgent need for effective novel therapies in relapsed/refractory patients, particularly those that are ineligible for intensive therapy. The BGBC003 trial is a phase Ib/II multi-centre open label study of BGB324 as a single agent in patients with AML or MDS or in a combination with cytarabine and decitabine in AML patients. Up to 75 patients will be enrolled at centres in the US, Norway, Germany and Italy. For more information please access trial NCT02488408 at www.clinicaltrials.gov. The 59th ASH Annual Meeting and Exposition is the most comprehensive haematology conference worldwide and attracts more than 25,000 haematology professionals from every subspecialty. 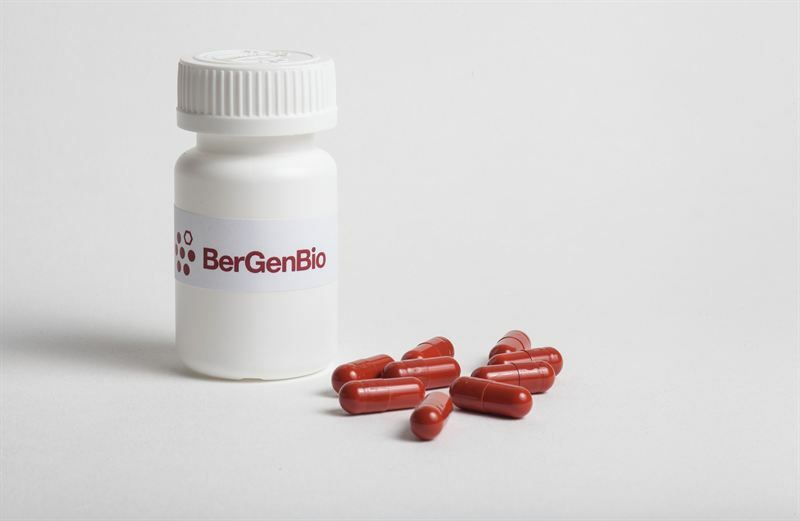 BerGenBio’s lead product, BGB324, is a selective, potent and orally bio-available small molecule AXL inhibitor in four Company sponsored Phase II clinical trials in major cancer indications, with read-outs anticipated in the second half of 2018. It is the only selective AXL inhibitor in clinical development. The clinical trials combining BGB324 with KEYTRUDA in adenocarcinoma of the lung and TNBC are conducted in collaboration with Merck & Co., Inc., Kenilworth, N.J., USA. BerGenBio is simultaneously developing a companion diagnostic test to identify patient subpopulations most likely to benefit from treatment with BGB324. This will facilitate more efficient registration trials and support a precision medicine based commercialization strategy.